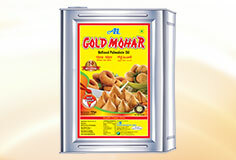 Gold Mohar Palm Oil carries the main components of nutrition and taste including Vitamin "A" and "E" and is trans-fat free fat. 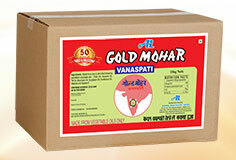 This makes Gold Mohar Palm Oil, a inexpensive replacement for butter in prepared foods and baked goods. 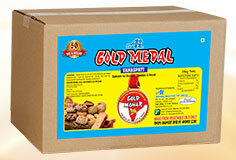 Further, with an ideal balance of Saturated and Unsaturated fatty acids, and great oxidative stability, refined Palm Oil manufacturers in Andhra Pradesh has broad application of use for the manufacture of food items. 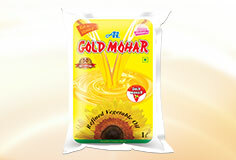 Fresh and pure, Gold Mohar from Agarwal Industries Ltd, one of the leading refined Palm Oil manufacturers in Andhra Pradesh, is free from foreign particles, impurities and adulterants. In addition to being used as a cooking oil, Refined Palm Oil is also used in the manufacturing of soaps, ointments, cosmetics, detergents, and lubricants. India is the largest consumer of refined palm oil in the world, consuming around 17 per cent of total world consumption. Further, India is also the largest importer of refined palm oil amounting to 44 per cent of world imports. Andhra Pradesh is the leading palm oil producing state in India contributing approximately 86 per cent of country's production followed by Kerala (10 per cent) and Karnataka (2 per cent). 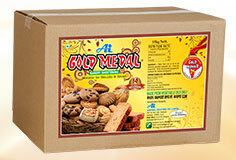 Agarwal Industries Ltd is one of the biggest refined Palm Oil manufacturers in Andhra Pradesh. 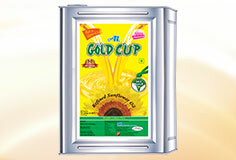 Edible Oils is the core-area of Agarwal Industries Limited product portfolio. 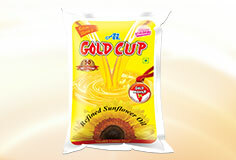 In terms of quality and customer satisfaction in entire South India, the edible oil products offered by Agarwal Industries, one of the leading Palm Oil Suppliers in Andhra Pradesh, is unchallenged. 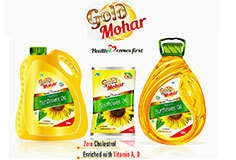 Gold Mohar, a popular refined palm oil from Agarwal Industries Ltd, one of the best Palm Oil Suppliers in Andhra Pradesh, is a leading brand-name in every household of Andhra Pradesh, Tamil Nadu, Kerala and Karnataka. 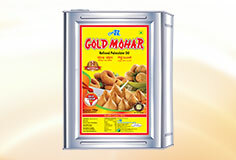 Packaged in high quality packing material to preserve the quality of the oil, Gold Mohar's unique composition makes it versatile in its application in food manufacturing as well as in the chemical, cosmetic and pharmaceutical industries. 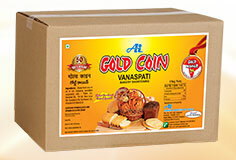 Its non-cholesterol quality and digestibility further makes it a immensely popular choice. 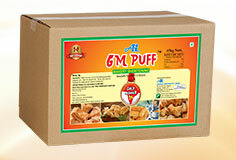 The Palm Oil offered by Agarwal Industries Ltd, Palm Oil Suppliers in Andhra Pradesh is used as a popular cooking oil and also in the production of vegetable ghee or vanaspati, in shortening for bakery products and as an ingredient in ice-creams.